Owl and Frida live together in a cottage deep in the forest. Their life together has been enough for them for they share everything. But words are powerful objects. When Owl is told how beautiful he is and how the world would benefit by his presence, he begins to think. His thoughts create discontent, and what he is and what he has, seems minute compared to what awaits him out in the world. He loses interest in sharing everything with Frida. After a hundred frozen nights of snow and retreat from the cold, the window of the house is again open. The external space beckons Owl and he follows its call. Leaving Frida, Owl explores the world which is more than he knows. But he is only a small enough thing in a huge space. He thinks of Frida, her love and warmth. He returns to their snowy home in the forest. But what will he find? 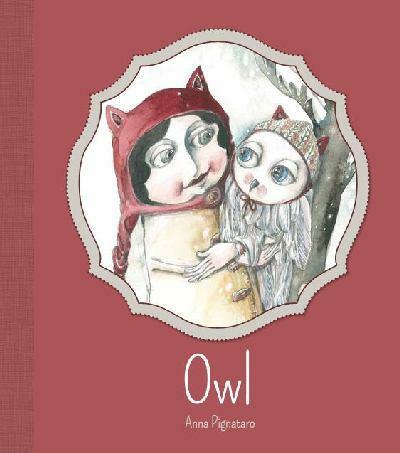 Owl, in its burgundy cover, is a beating heart; the poignant story of love and freedom, home and belonging. Beautifully illustrated with delicate lines and equally delicate prose, this book is a collector’s item made so by its uniqueness in presentation, theme and overall content.